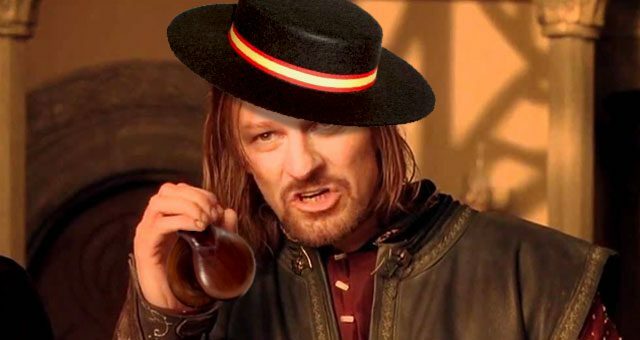 All indications are that the fifth season of Game of Thrones will be filmed at least partly in Andalusian territory. It has become the most popular series in recent years, in fact, has “dethroned” The Sopranos, as the most watched series on HBO. According to the author of the series, George R.R. Martin, Andalucia and Northern Morocco inspired him to create the Kingdom of Dorne, which is located south of the region of Westeros, and is characterized by a hot climate and a dry, arid landscape. 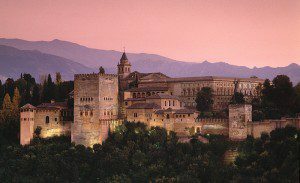 More than 25 years ago, the Alhambra was declared a World Heritage Site, and it’s no wonder. This “Red Fortress” could well serve as a palace for Prince Doran Martell. 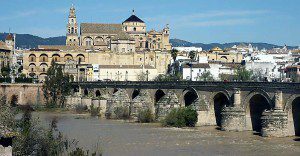 Although the Mosque is the quintessential monument of Cordoba, we thought that the view from outside the city is the perfect setting for the entry of a large army for its Roman Bridge, with the Cathedral in the background. In addition, the streets of the Jewish quarter can serve as location for talks between traitors and other scenes of secrecy. In Malaga we can also boast of landscapes. 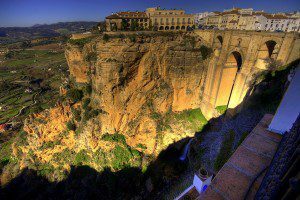 The new bridge in Ronda is, without doubt, the ideal setting for the most epic battles. Dorne is located in a dry area, but is almost surrounded by sea. 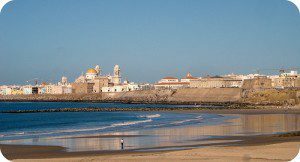 Therefore, for any naval scene Cadiz is the place. Its walled city can be the perfect setting for a siege of immense proportions. Imagine the scenes that could be filmed in its endless olive groves, as thousands of slaves pick olives from sunrise to sunset, under the mandate of the vilest of the Caciques. These are our five suggestions for the upcoming filming of the next season of Game of Thrones, although there are many other places that deserve to be included. Do you have any other suggestions? 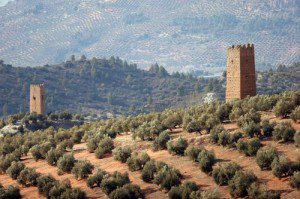 Share your favourite places in Andalusia; who knows, maybe this article ends up in the hands of a producer and he decides to borrow your idea! UPDATE (02/07/2014): The mayor of Seville, via Twitter, has confirmed on Tuesday afternoon that the city of Seville, particularly the Alcazar of Seville, was the venue chosen by the producer of HBO to film the fifth season of the series Game of Thrones.